Professor Karen Swabey is the Head of School and an Professor in Health and Physical Education Pedagogy in the Faculty of Education. Her areas of research interest are in social and emotional wellbeing and student preparedness for teacher education as well as the broader field of educational psychology, particularly human development. Before entering the university sector in 1994, Professor Swabey had an extensive career in primary, secondary and senior secondary teaching and school leadership in Tasmania in both state and independent schools. At the postgraduate level, Prof. Swabey coordinates two health and physical education focussed units and a unit related to coaching and mentoring our preservice teachers. She also supervises a number of research higher degree students. Prof. Swabey's publication output includes a book, book chapters, academic journal articles and peer-reviewed conference papers. She is a Consulting Editor for the AJTE journal and reviews for a number of international journals. 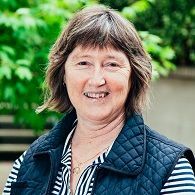 She is also the past-President of the Australian Council for Health, Physical Education and Recreation ACHPER (Tasmanian division), her professional association. As Head of School of the Faculty of Education, Professor Swabey leads and manages approximately 60 academic staff and in excess of 100 sessional staff. Her most recent publications relate to the broad area of educational psychology as she has published books, chapters in books and articles related to a wide range of aspects in the field of human development. Professor Swabey has had a wide range of research collaborations over her career, many have resulted in publications. The projects have mainly been related to the broad area of health and wellbeing. Professor Swabey's publications are broadly focussed around her research areas of: social and emotional wellbeing, student preparedness for teacher education, and educational psychology, particularly human development. She is also a consulting editor on the Australian Journal of Teachers Education and acts as a referee on many other journals. Professor Swabey's supervisions are broadly focussed around her research areas of: social and emotional wellbeing, student preparedness for teacher education, and educational psychology, particularly human development, however, her expertise in qualitative research methodology relating to grounded theory using interviews and questionnaires also sees her involved as a co-supervisor on a wide range of topics. Currently, Prof. Swabey supervises both EdD and PhD candidates. Over the past decades the Australian Government has had many policies to develop the learning of languages throughout the country (Lo Bianco & Slaughter, 2009), particularly Asian languages. The importance of engaging with Asian nations in the era of global integration and international mobility was stated in the Melbourne declaration on educational goals for young Australians (2008). In the Australian Curriculum, Asia and Australias engagement with Asia is the cross-curriculum priority and intercultural awareness is the general capability. Within the Tasmanian context, the 2013 White Paper, Tasmanias Place in the Asian Century, emphasized the crucial engagement with Asia to enhance Tasmanias opportunities in the global market. Although some planning is underway for language education as part of the implementation of the Australian Curriculum: Languages, a formal date for this implementation is still unknown (Asia Education Foundation, 2014). Currently, not many languages are offered in Tasmanian schools. This urges a timely and much needed investigation into the reality of languages education in Tasmanian schools to provide some interventions to increase the uptake of language studies in Tasmania to meet the Australian Governments demand on Asian literacy. The project seeks the answers for the following key questions:1. Which (Asian) languages in the national curriculum are taught in Tasmanian schools? Why?2. How many primary and secondary schools have offered a language education program in their curriculum to date?CAL Hothouse Research Enhancement Program EOI 2017 Page 2 of 83. What are the perceptions of principals, teachers, parents and students on languages education in Tasmanian schools?4. How are the aspects of culture presented in the current Asian languages classes to promote intercultural understanding about Asia?5. How are language and content integrated in the current Asian languages lessons in Tasmanian schools?6. What are the challenges of languages education in the Tasmanian context? This study aims to enhance teachers knowledge and skills for the teaching of reading and writing in the early years of school (Kindergarten to year 2). In Tasmania, students literacy achievement has sparked concerns, particularly in the areas of reading and writing. Currently, Tasmania ranks at the bottom among Australian states on virtually every dimension of economic, social, and cultural performance (West & Schwerdt, 2012, p. 50). Evidence shows that a majority (i.e., up to 70%) of Tasmanian school students have difficulties reading and writing (Rowe, 2005), which poses significant issues for students as they transition from school to life as adults in the Tasmanian community. Tasmanian students reading and writing performance and how this can be better addressed is the core focus of this research, and will be investigated through an exploration of literacy instruction in the early years of school. This study aims to address the learning and wellbeing needs of over 8000 predominantly low SES students in regional Australia through researching the conditions that enable refinement and extension of a successful curricular and wellbeing program. This student cohorts current low educational performance has significant negative effects on individual employment prospects and broader national productivity. Their under-achievement and disengagement from schooling also contribute to many antisocial, harmful short- and long-term outcomes for individuals, with significant health and other costs to the broader community. The research has the potential to impact positively on these current outcomes and be applicable to other like settings.